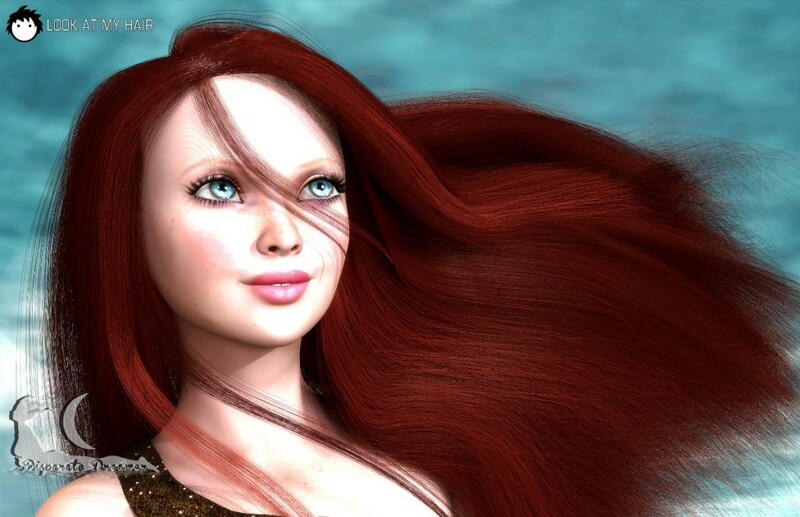 A beautiful red hair model and render done by Alia. Created with…. Look At My Hair for DAZ Studio.